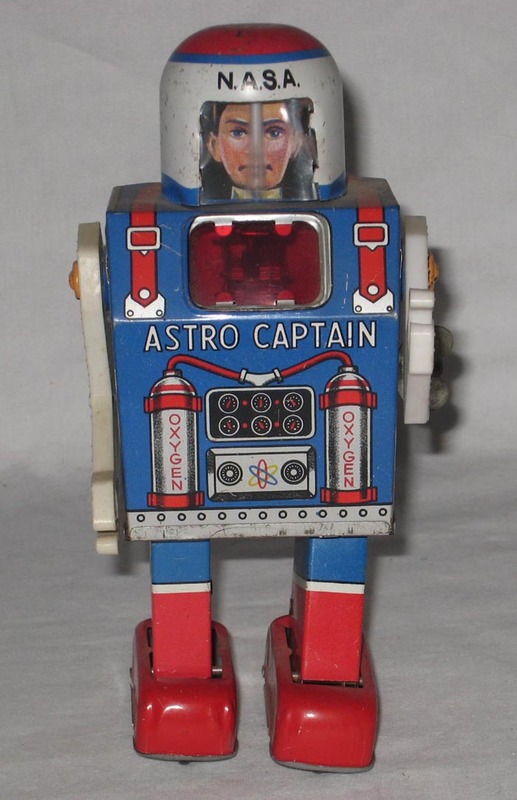 1960's Daiya Japan NASA "ASTRO CAPTAIN ROBOT" wind-up tin litho measures 6.25" tall. 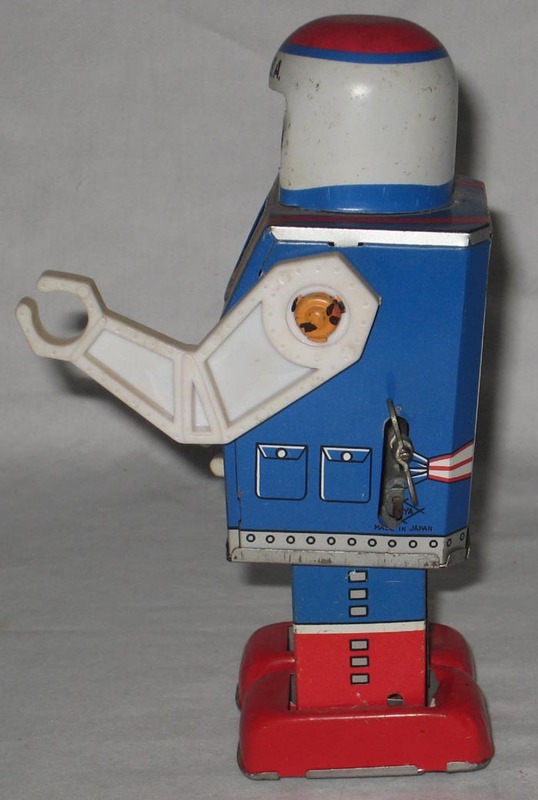 Awesome vintage space Robot. 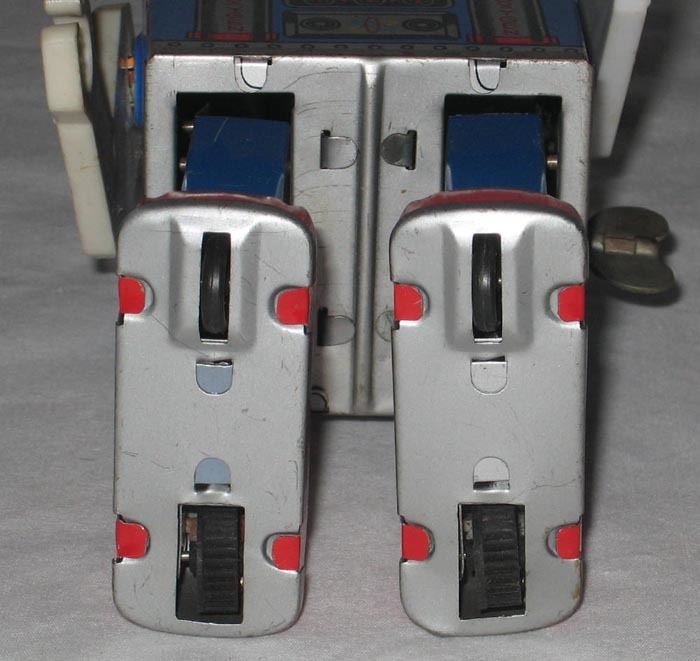 It is in good working condition with some wear. The face mask has been pushed in but is still intact. Litho graphics colors are still vibrant. 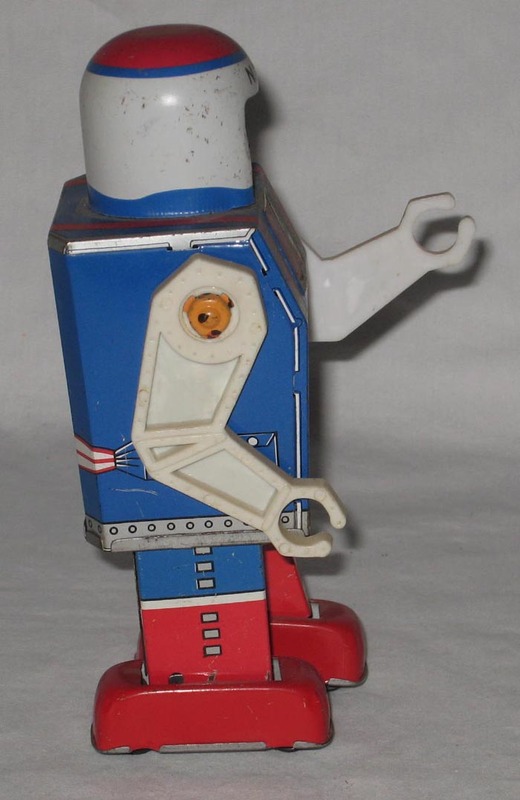 The arms are made of plastic. 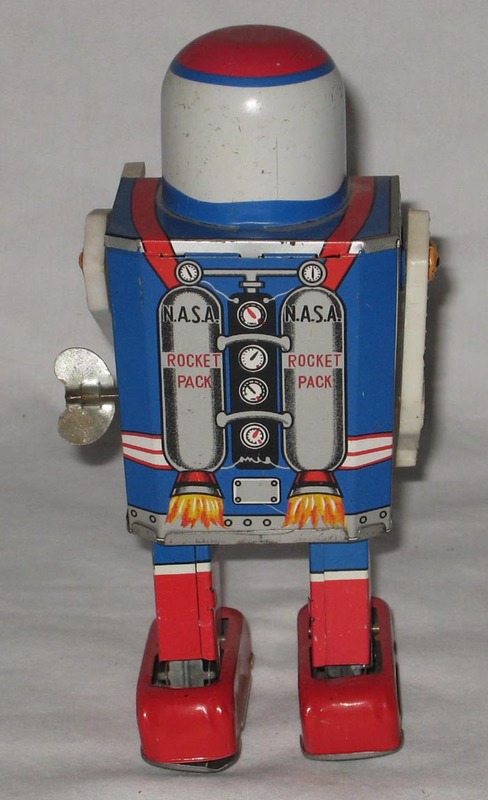 Just love the jetpack rockets in the back.